"Matchstick Puzzle" is a free online psychology game by zefrank.com with Over 5 matchstick puzzles to test your brain. Replace or move matchstick to solve mind challenging tasks online. Fun psychology game. Move two matches to form 4 equal squares. Move three matches to form 4 equal squares. Move three matches to form 3 equal squares. Delete 9 matches to form no squares. How to play Matchstick Puzzle. Drag and drop the matchsticks to move them. Click on them to delete them. Read the requirements at the bottom of the game. Know how to solve matchstick riddles. No level achievement. 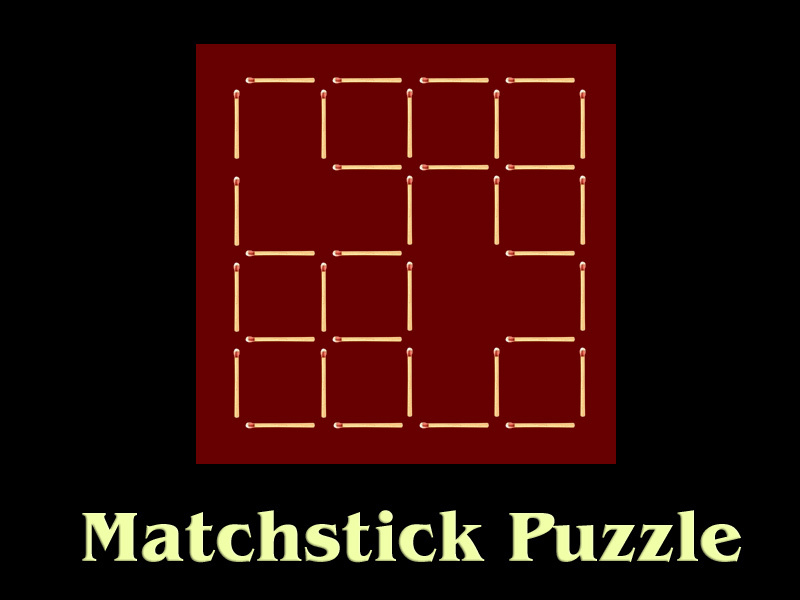 Matchstick puzzles are rearrangement puzzles in which a number of matchsticks are arranged as squares, rectangles or triangles. The problem to solve is usually formulated as: "move n matchsticks to make m squares (or triangles, or rectangles, or circles)". 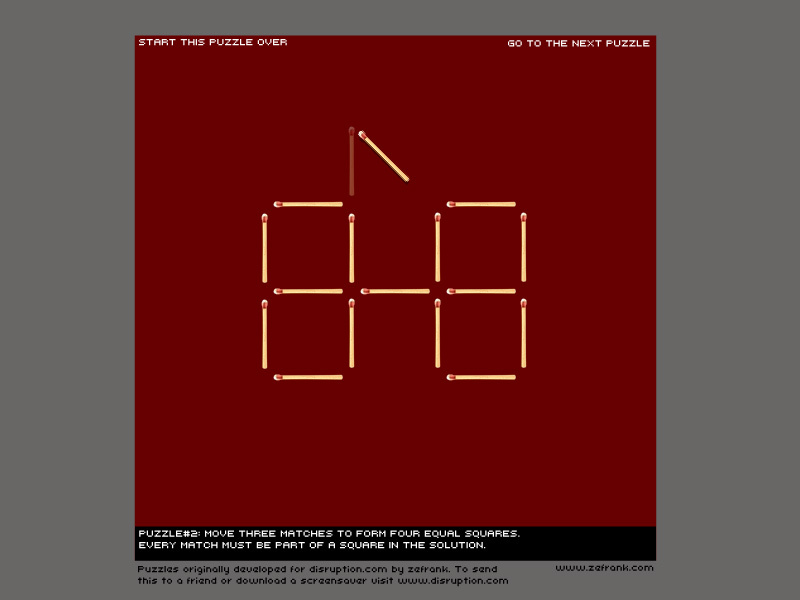 However some of the puzzles require lateral thinking and are not just about making geometric shapes. Labels: Psychology Games , Visual Tests , Puzzle Games , Knowledge Games , Brain Games , Free Online Games.